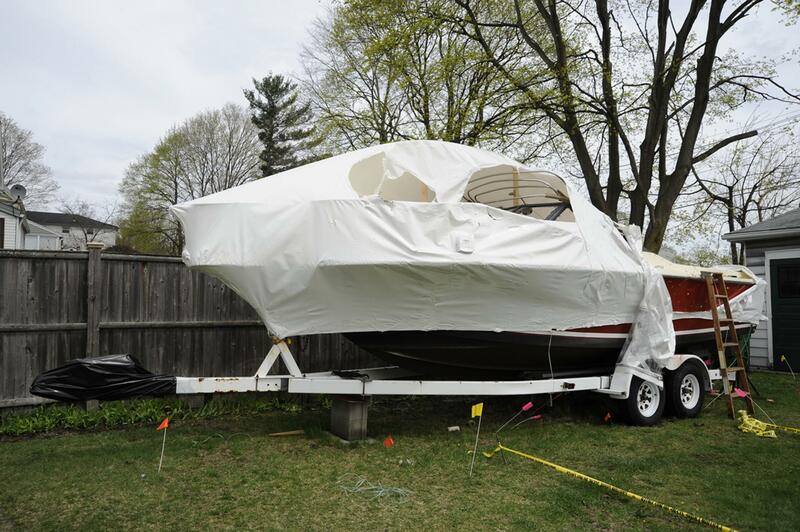 The boat where Dzhokhar Tsarnaev was captured in Watertown, Massachusetts. During its brief case, the defense called a cell site analyst who showed that Tsarnaev was at the University of Massachusetts-Dartmouth when Tamerlan purchased components of the two bombs used in the 2013 attack, including pressure cookers and BBs. Tsarnaev’s lawyer told jurors that it was Tamerlan who shot and killed MIT police Officer Sean Collier three days after the bombings. Tamerlan died after a gun battle with police hours after Collier’s slaying. The Boston Herald notes that the defense also called an FBI fingerprint examiner who said that the only prints recovered from the marathon crime scene matched Tamerlan Tsarnaev, not Dzhokhar. Closing statements have been scheduled for next Monday. If/when Tsarnaev is found guilty, a separate trial phase will determine whether he is sentenced to death or to life in prison. Read more of Slate’s coverage of Dzhokhar Tsarnaev’s trial.